London, (15th March 2009) Voiceserve, Inc. (OTC: VSRV) announced today that Technology Marketing Corporation’s (TMCŽ) Unified Communications magazine (www.uc-mag.com) has named Voipswitch as a recipient of its 2008 Product of the Year Award. 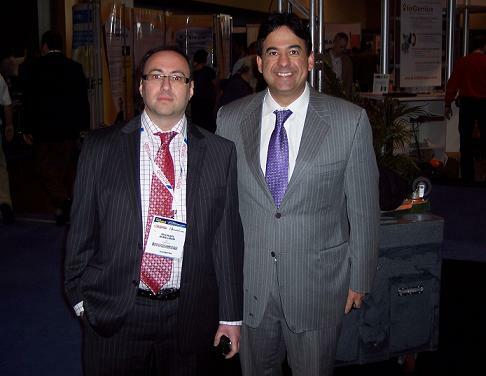 MIchael Bibelman, CEO of Voiceserve/Voipswitch Inc (left) with Rich Tehrani, TMC President. 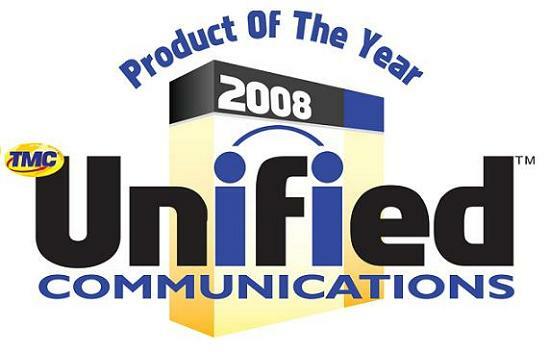 A full list of Product of the Year winners will be published in the March/April, 2009 issue of Unified Communications magazine, www.uc-mag.com. For more information about TMC, please visit www.tmcnet.com. About Unified Communications magazine Launched in July 2007, Unified Communications magazine is devoted to educating enterprise decision makers on why and how they need to deploy unified communications (UC) solutions. Every issue of Unified Communications magazine features a comprehensive news section; case studies of successful deployments and lessons learned; interviews with leading hardware and software companies; and an ‘industry’ section, featuring analysis of important mergers and acquisition, partnerships and a Wall Street perspective on the unified communications market. Unified Communications has a readership of 100,000. For more information, please visit www.uc-mag.com. About TMC Technology Marketing Corporation (TMC) is a global integrated media company helping our clients build communities in print, in person and online. TMC publishes Customer Interaction Solutions, INTERNET TELEPHONY, Unified Communications, and NGN Magazine. TMCnet, TMC’s Web site, is the leading source of news and articles for the communications and technology industries. TMCnet is read by two to three million unique visitors each month worldwide, according to Webtrends. Ranked 2,724 by Quantcast, TMCnet is in the top .03% most visited Web sites in the US. In addition, TMC produces ITEXPO, 4GWE Conference, Digium|Asterisk Worldand Communications Developer Conference. TMC also recently launched new industry-specific Web sites: IT.TMCnet.com, Cable.TMCnet.com, Robotics.TMCnet.com, Satellite.TMCnet.com, Green.TMCnet.com. For more information about TMC, visit www.tmcnet.com.